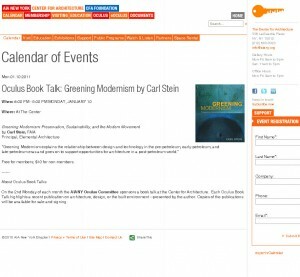 About Oculus Book Talks: On the 2nd Monday of each month the AIANY Oculus Committee sponsors a book talk at the Center for Architecture. Each Oculus Book Talk highlights a recent publication on architecture, design, or the built environment –presented by the author. Copies of the publications will be available for sale and signing.